Hope everyone is having/had a great holiday! I thought it was time to dig out a set that I’m sure a lot of people have heavy nostalgia about; the 1998 Christmas set! On left from top to bottom there is Cranberry, the lovely Golden Pear, and Grape Gum Drop. 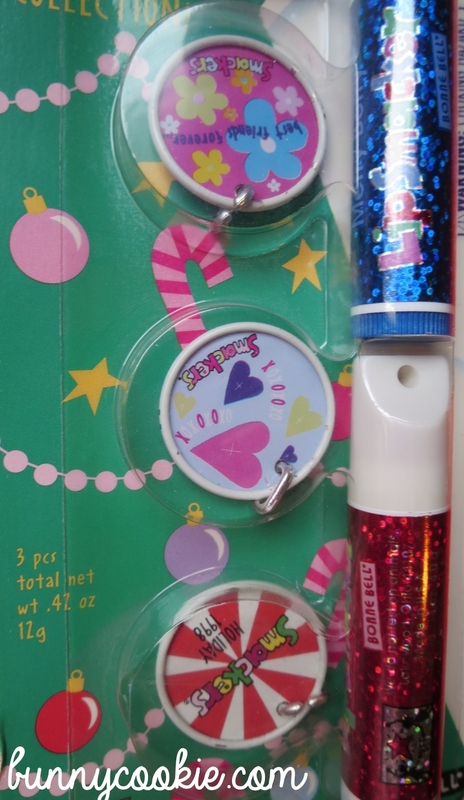 On right, Sugar Plum, Merry Berry, and the yummy Candy Cane formula that eludes their similar scents today. I was always a bit partial to Golden Pear, though. 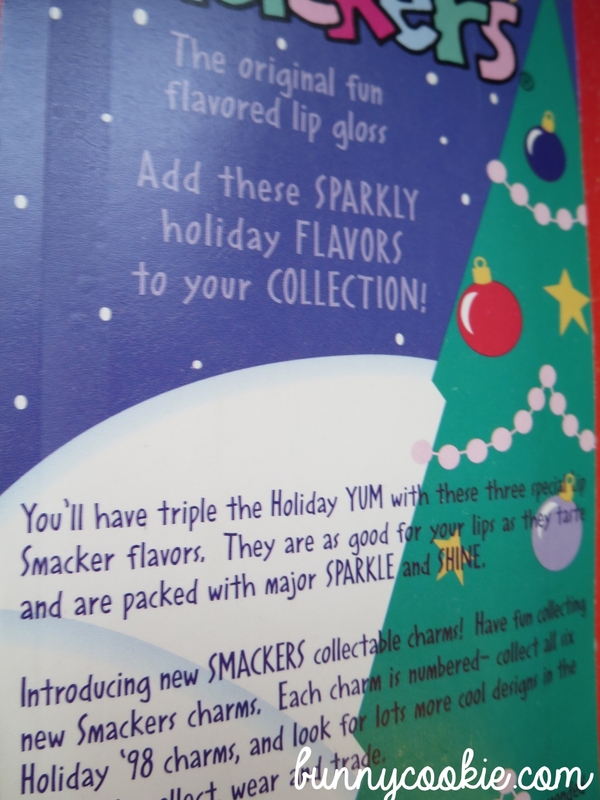 This specific Candy Cane Lip Smacker is the best EVER, with its perfect flavor and little bit of shimmer (awesome for those of us who detest lipstick, but still like to dress up their lips)! I wish it was still available, and all year round, at that! Such darling artwork. I loved Golden Pear too! My FIRST holiday collection I had from them! Seriously why don’t they make Candy Cane with this formula anymore!? It’s what got me obsessed with mint lip products. So strong, minty and tingly. The one they’ve put out in recent years is just weak and doesn’t hold a match next to this. Also loved Golden Pear and whenever they do pear flavors. Merry Berry was great, too! Hey M, I dunno if you’ll see this, but I sure hope so – that specific Candy Cane was da bomb, wasn’t it?! Perfect flavor with the little bit of shimmer, I loved it!! 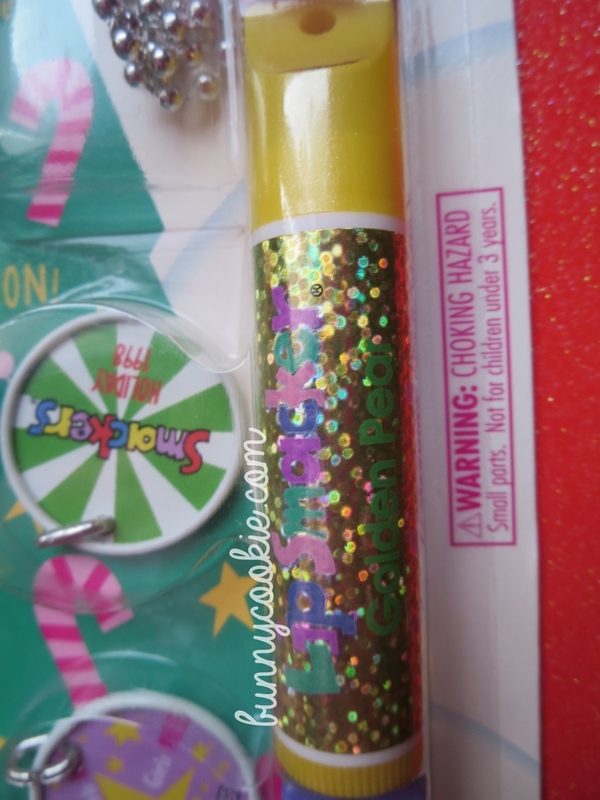 The peppermint Lip Smacker you can buy on their website is comparable – I’ve been buying it as a suitable replacement for our beloved Candy Cane, but without the shimmer – it’s strong and tingly, just awesome. Nothing else can compare – well, of course the original Candy Cane, obviously, lol. Hi bunny cookie! Do u have extras of these you’d want to sell? 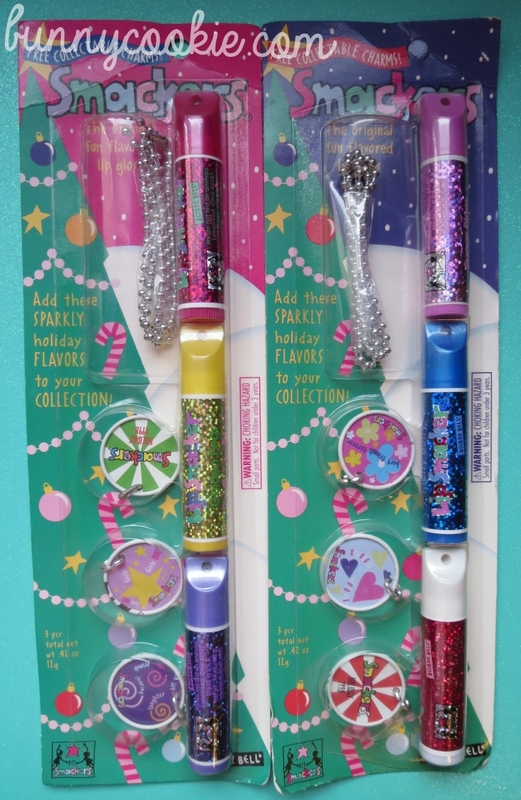 Just wanted to say that even here in 2018, that I miss this collection and this version of Candy Cane flavor 20 YEARS later!!! I can’t believe this collection is 20 years old now. Funny enough, I can smell each one still vividly just by looking at your pictures. That strong pepperminty Candy Cane!!! Why oh why did this version disappear? And Golden Pear…mmmm!!! Sugar Plum we all know was an annual Bonne Bell flavor. The Fanta Grape (Bonne Bell’s version) smells VERY similar to Grape Gum Drop and Merry Berry was so juicy. I don’t believe they ever reused MB again after this but I know Berry Strawberry Twist was similar in ways. I really, REALLY miss this version of Cranberry Bonne Bell did in the 90’s. I think about it a lot. A perfect tart, straight up cranberry. They definitely don’t make them like this anymore. I’m not of big fan of the spiced cranberry they started doing after this. I really wish this exact flavor would comeback. Has anyone noticed a lot of cranberry lippies these days border a pomegranate scent? It’s so disappointing. I get they’re similar but they’re very different in ways. Those chemists need to smell this cranberry! Thank you for the amazing memories! I really wish you do posts again Bunny Cookie.